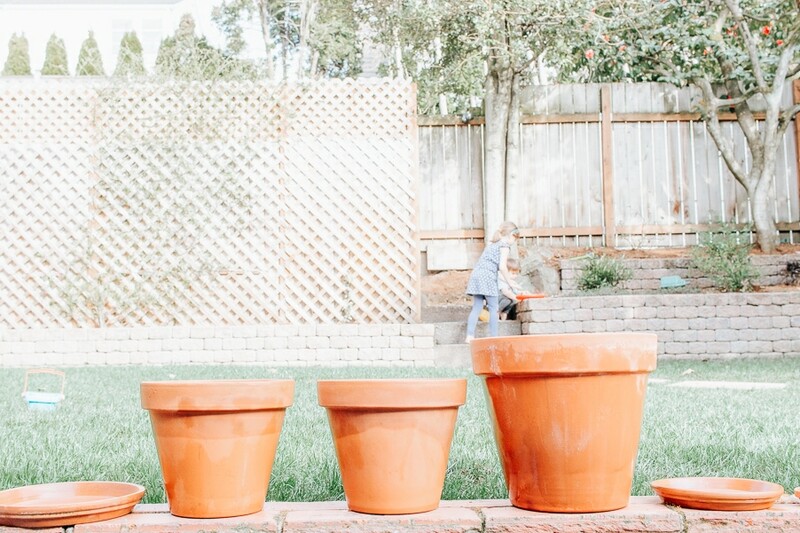 It’s no secret around here that I have a bit of an obsession with terracotta pots. I own a lot of them and always pick up a few more every year. To me, they never go out of style. These pots look good whether they are filled with greens or flowers or both. And they are pretty inexpensive. I especially love them clustered together in different heights. 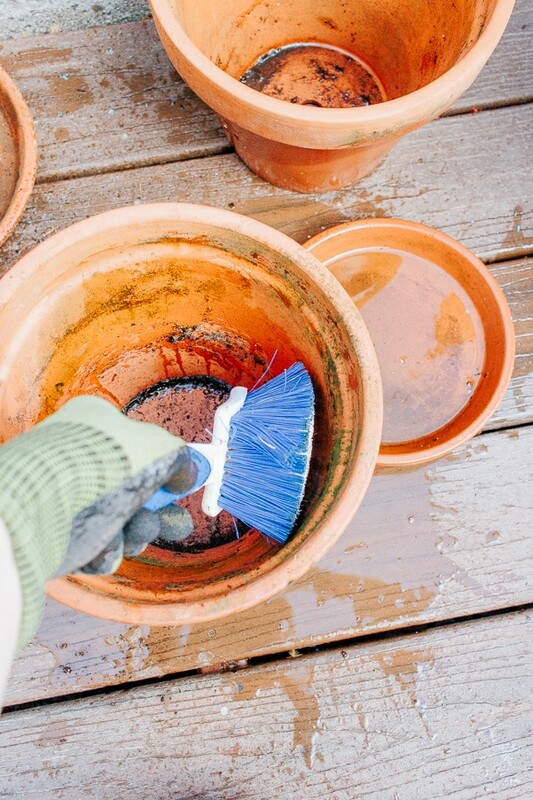 Since we are almost to that spring planting season (kind of, maybe, just around the corner), I’m showing you how to clean terracotta pots. YAY! 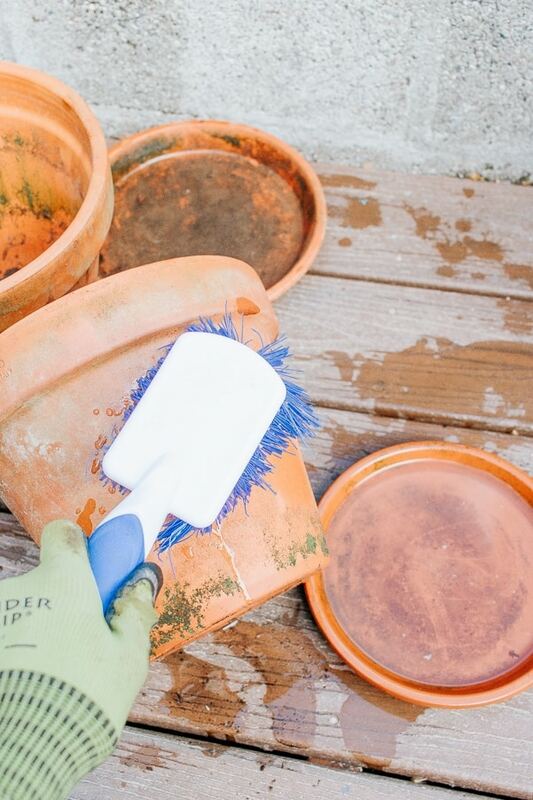 Why do you need to clean Terracotta Pots? 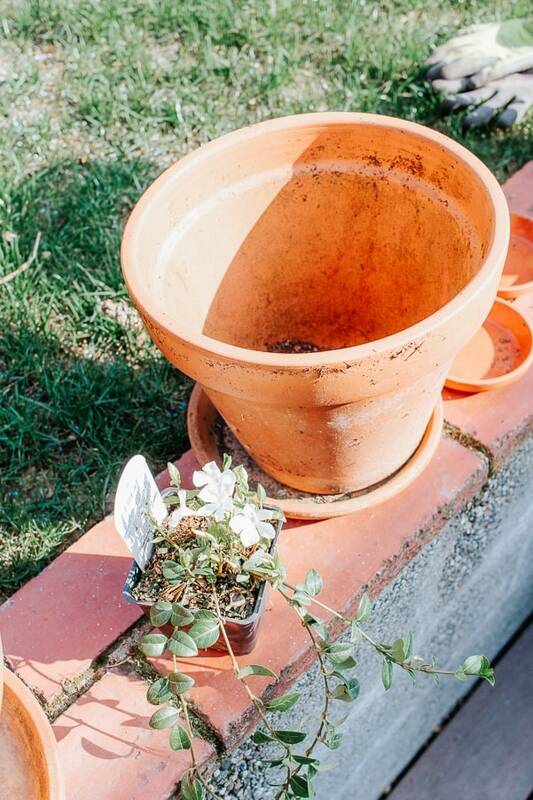 Personally, I love the aged and weathered look of a terracotta flower pot. They look like they were just plucked from a beautiful villa in Tuscany. However, it’s really not that great for your plants. 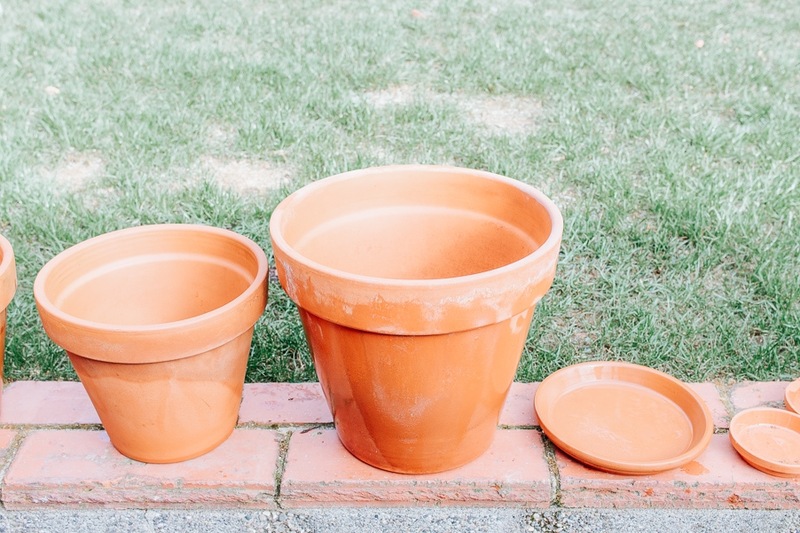 Terracotta planters absorb excess water as well as minerals from your soil and chemicals from your fertilizers (if you use them). These planters can also be home to pests and diseases and you wouldn’t even know it. 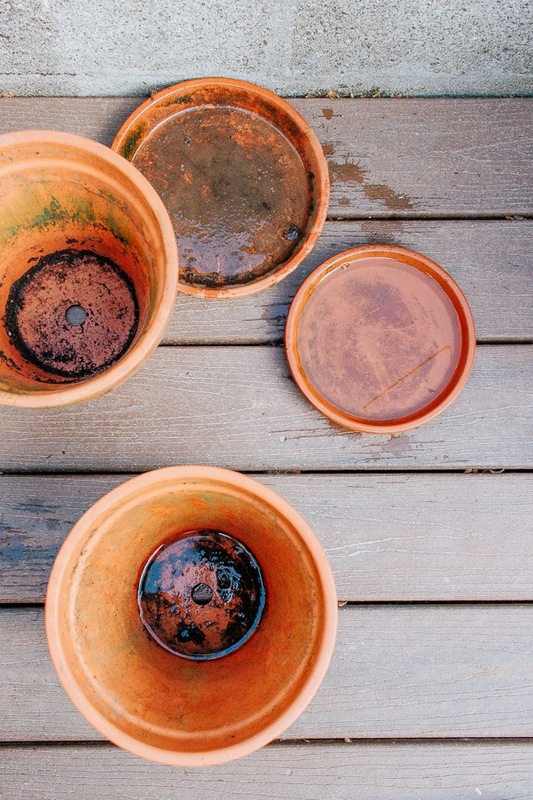 You can prevent this yucky buildup on your planters by using organic fertilizers and rainwater (instead of tap). But you can also just give them a good cleaning now and again. 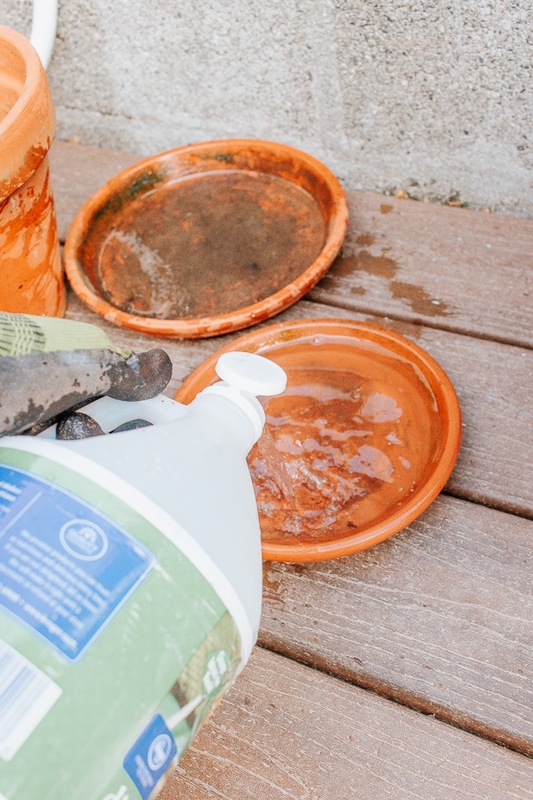 In order to get a new plant off to a good start, you want to begin with a clean, disinfected terracotta planter and fresh soil. And if you have an older plant that’s been sitting in a terracotta planter for ages, it’s totally up to you what you want to do with it. I suppose if it’s thriving – you can just let it go. 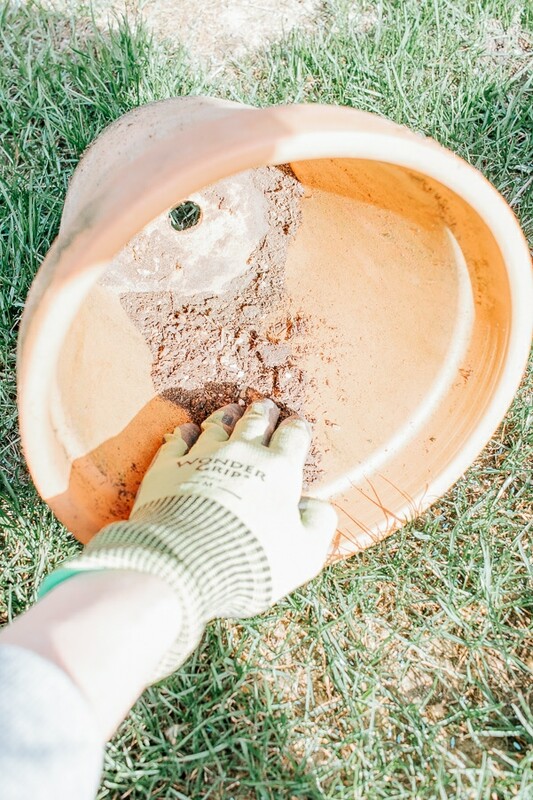 But if you feel like it needs fresh soil or a new, larger home, then by all means – repot it and clean the old planter while you’re at it! 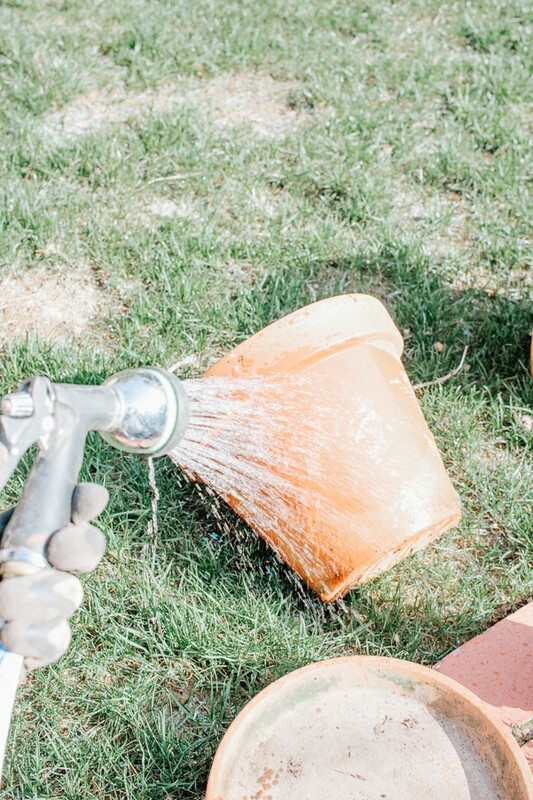 Check out my other posts for your Outdoor Spaces! There are several methods for doing this. I don’t make this that complicated. You can certainly fill up your sink with warm water and vinegar and a squirt of dish soap and let them soak for an hour and then clean. And you can even run your pots through the dishwasher (after cleaning and disinfecting). I don’t do any of that. Plus, some of my pots are larger and I might (read : most likely will) pull something trying to get that bad boy in the sink. I usually do this on a nice day outside on my deck. (I don’t want vinegar on my grass). First thing I do is clean out any plants and as much old dirt as possible. 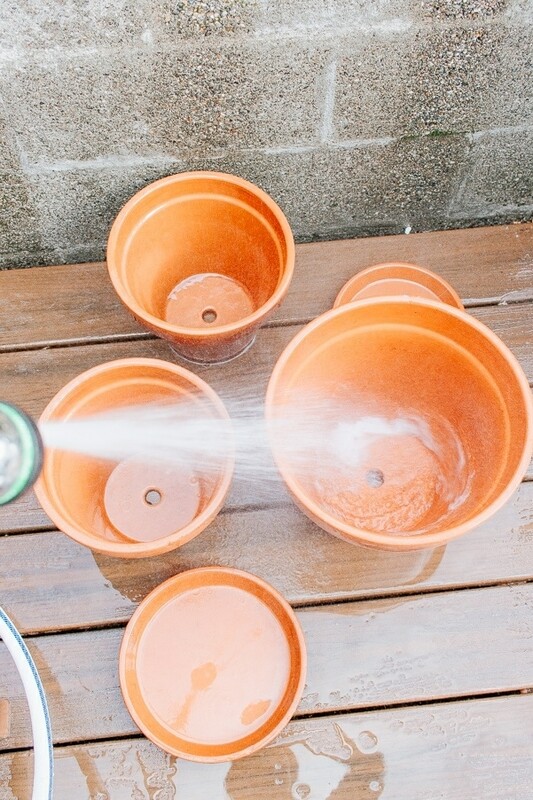 I hose the terracotta pots down with water. 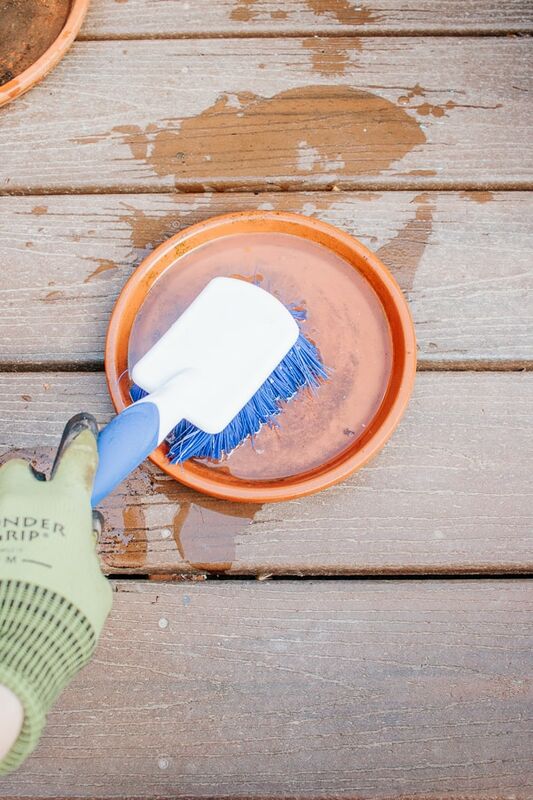 I fill up one of my planter saucers with a vinegar and water mixture. (I don’t measure – it’s about half/half). After I scrub them down with vinegar/water, I then scrub them with a little dish soap and water. Then I hose them all down one last time and let them dry out completely in the sun. You don’t want to stack them wet because they can build up mold and mildew this way. Now that my terracotta planters are clean it’s time to get planting. I’ll be posting about that soon too. Have a great day everyone!